I started reading this way back when it was first released (yes, we're talking 2009 here) and then stopped halfway - not entirely sure why now, but I think it was to do with the fact I wasn't sure if I wanted to go where I thought the book was going (and hopefully that makes sense to you - I'm not sure it makes sense to me!). Anyway, as the next book in the series, Carnelians, had been released, and I've an aversion to reading books out of order, I bit the bullet and picked up DIAMOND STAR again. With the caveat I started reading from where I stopped, as opposed to restarting the whole book, I ended up really liking DIAMOND STAR. The story wasn't as dark as I thought it was going to be, but perhaps not everything was fully resolved. I have a very soft spot for the SF world that Catherine Asaro has created, and so while the bubbles and colours (and incestous relationships) feel slightly dated, I can't help but give them a pass because I love the Skolian universe so much. This book is not one for new readers to the Skolian series, but if you're a long-term fan, it was satisfying to see more of the tangled family relationships resolved, and particularly Del stepping out of his family's shadow and making his life his own. All in all, DIAMOND STAR is a slightly heavy-handed coming-of-age story, but I'm glad I finally got around to finishing it, and now I'm looking forward to reading the next one. 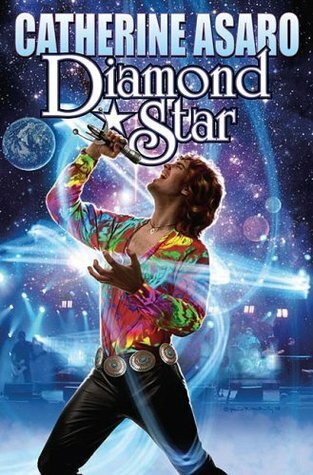 Sign into Goodreads to see if any of your friends have read Diamond Star.